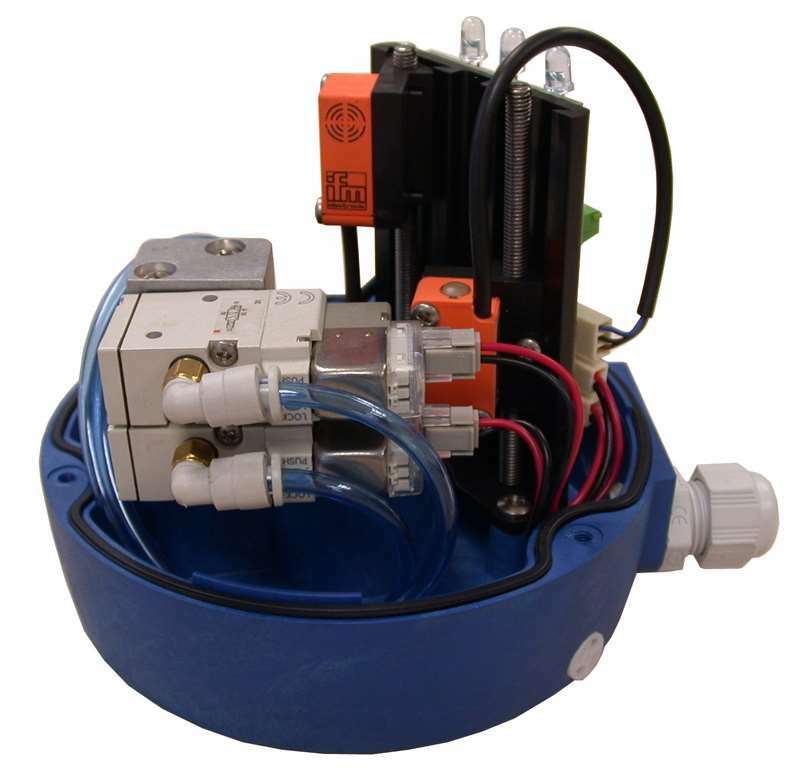 The C-TOP is a pneumatic control unit designed to ensure an optimum control over the INOXPA process valves. It is compatible with most PLC (Programmable Logic Controllers) automated systems with digital communication or bus (AS-interface). C-TOP can be installed to any current process valve in the food-processing, beverage and biopharmaceutical industries. 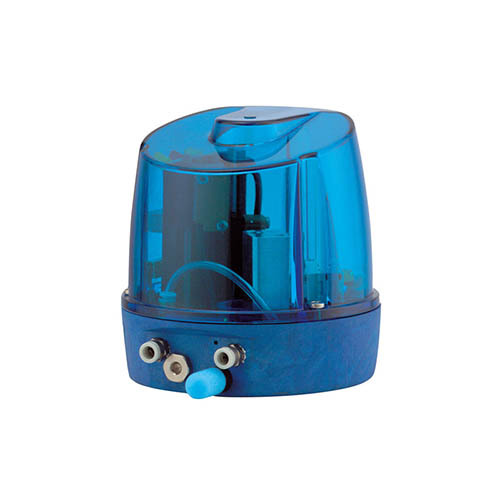 The C-TOP control unit incorporates indication and command devices to monitor all types of (piston) process valves. The control units are fitted to the pneumatic actuator. It receives signals from a control panel or from a PLC to actuate the valves and sends signals to the PLC or to the control panel to communicate the status/position of the valve. The design of the C-Top unit is simple, modular and resistant that guarantees the maximum flexibility. The C-TOP units can be set up according to the customer’s requirements. The valve position is detected by means of microswitches or inductive detectors. External detector (Detection of the seat lift when it cannot be detected inside the C-TOP). Materials for work under extreme conditions (PSU cover). Solenoid valves 24, 110, 220 VAC. Summary El C-TOP es un cabezal de control neumático diseñado para asegurar un control óptimo de las válvulas de proceso de INOXPA. 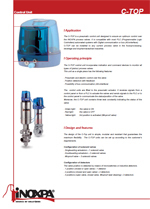 Summary The C-TOP is a pneumatic control unit designed to ensure an optimum control over the INOXPA process valves. Summary La C-TOP est une tête de commande pneumatique conçue pour assurer un contrôle optimal des vannes INOXPA. Summary C-TOP представляет собой контрольное устройство, предназначенное для обеспечения оптимального контроля за клапанами INOXPA. 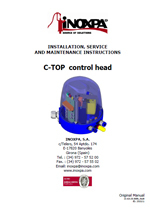 Summary The C-TOP is a pneumatic control head designed to assure the optimum control of INOXPA process valves. Summary La C-TOP est une tête de commande pneumatique conçue pour assurer un contrôle optimum des robinets de INOXPA. Summary C-TOP è una testata di controllo pneumatica progettata per garantire un controllo ottimale delle valvole di processo di INOXPA.